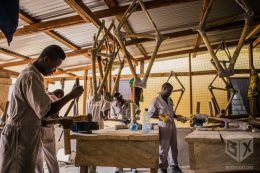 Asante Bamboo Bikes is a social enterprise building handcrafted bamboo bikes in Ghana and Poland to inspire the world with exceptional design, promote sustainable materials and create a positive change in Africa through education scholarships. UNIQUE – You will not find two bikes alike. 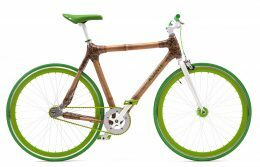 Asante frames are handcrafted from bamboo wood and are naturally shock-absorbing. Eye-catching design and personalized colors will help stand out in the crowd. ECOLOGICAL – Asante rely on the natural materials, supporting the sustainable development. Bamboo grows commonly on five continents, even 90 cm a day. This is why the production of Asante is environmentally friendly. SOCIALLY RESPONSIBLE – Asante frames are produced in Ghana as a part of social initiative Yonso Project. Each bike funds education scholarship for the youth in Africa. Together we create a positive change and make the world a better place.